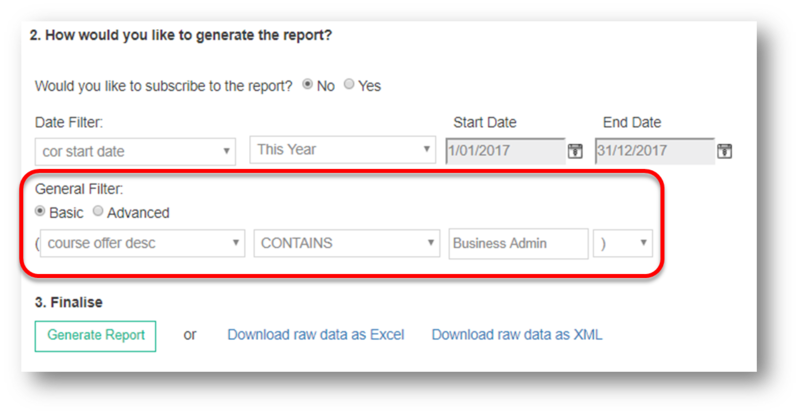 You can choose between a Basic Report which allows you to generate information from Wisenet quickly and easily. 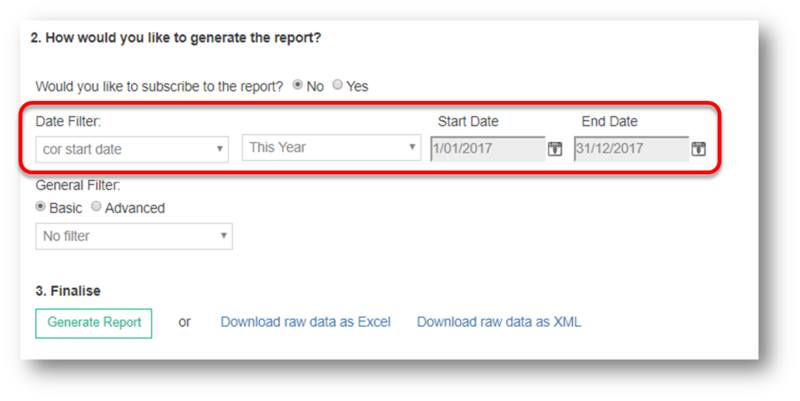 Filters can also be applied to extract more specific data. 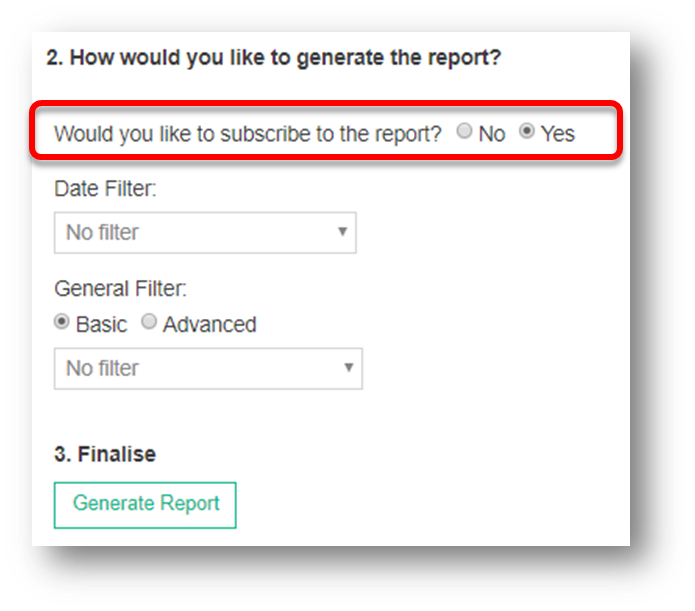 Or, choose an Advanced Report which allows for a more targeted and specific Report to be generated. Instructions on how to generate both are provided below. 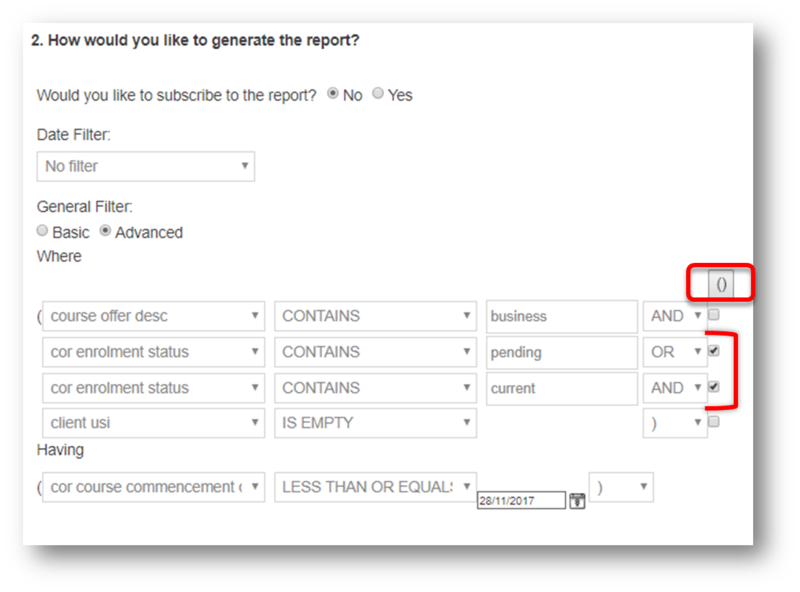 In Step 2 of the Reports select Yes to Subscribe. Brackets are used if you want to group key information under a particular Field. 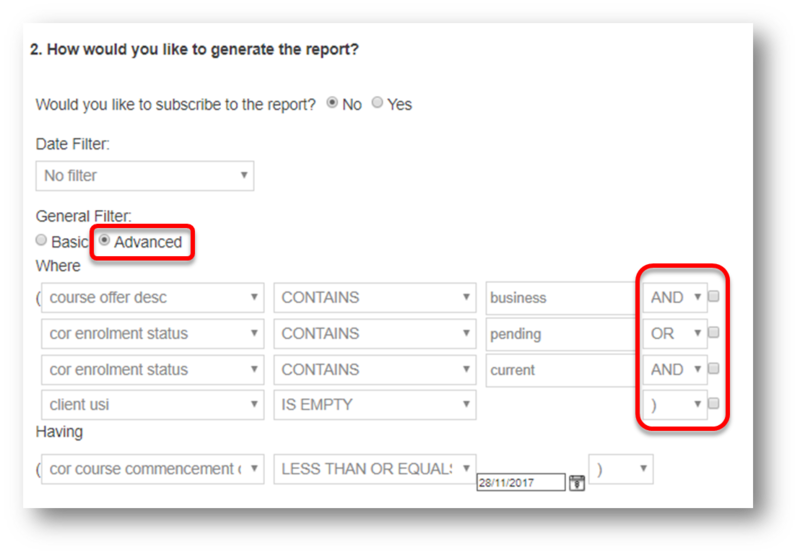 If you wanted to see all Learners in your Business Course Offers that have an Enrolment Status of either Pending or Current. On the right hand side select the terms you want grouped together.